We receive emails all the time with questions about our workshops. We’ve listed the most commonly asked questions below. What kind of certification will I get after the training? You’ll receive a Certificate of Completion after completing all modules. Persons who are unable to attend the full training will receive a Certificate of Participation. Will this workshop help me with employment opportunities? We believe it will. Applied psychology and behavioral science are gaining popularity as a valuable and hard-to-fill skill, in several industries. The UI/UX community now places a greater emphasis on persuasive design, and considering that we’ve trained experts from numerous leading companies, we can confidently say that it is valued by major companies such as Samsung, Salesforce, Bank of America, Microsoft, and numerous government agencies. If you’d like to see just how many organizations and industries see value in digital psychology, check out our client list and testimonials. Even if you work in an environment that’s run by managers who don’t yet understand the benefit of applying psychology to daily work, our training will still give you a skill edge, that will help you stand out. I have over 14 years of UX experience. How advanced is your material for someone with my experience? Perfect for you, we’d say. You’ll walk away with a large volume of persuasive design tactics that you’ll be able to apply immediately. 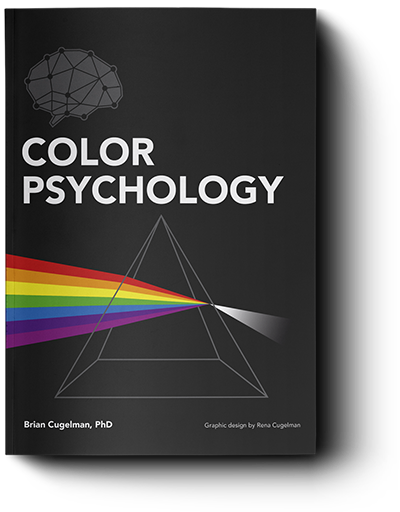 Brian has spent years boiling down the science of persuasive design into a simple model, isolating the most important 50+ factors and organizing them into a simple communication model. Brian will show you all of these, walk through examples, and take you through exercises that will reinforce your ability to recognize, and apply them. Is this workshop helpful for a senior designer, with 10+ years’ experience? Yes, it certainly is. We have designed this workshop to teach you a new set of skills in leveraging psychology in the design of technologies. Brian has trained UI/UX specialists and Web Designers with your level of experience. They tell us that they are thrilled with the workshop; and, in general, the more educated the participants, the happier they are and the better they rate the training. Senior designers love it as they rarely have an opportunity to learn this much science boiled down into such an accessible and practical format. Beginners also like it, as Brian provides a clear and concise intro into design for behavior change. Do the exercises require any prior knowledge of typical UI/UX tools? No, don’t worry. You don’t require any prior experience of UI or UX tools. In the course, Brian will go over several typical interactive design tools, showing you wireframes, flow diagrams, and teaching you how to audit the psychology behind websites and mobile apps to help you develop new skills. If you’re already familiar with these tools, Brian will show you how we use them in a new way, revealing practical steps to incorporate behavioral science principles into standard UI/UX tools. As a web and mobile designer, I’d like to get more training in UX/UI design. I’m wondering if this course is too advanced for me? We’d say not, since we deal with common UX/UI tools, such as interface design, wireframing, user flow charts, etc., but we don’t get overly technical. The focus is not on how to make wireframes or flow charts, etc. ; rather, the focus is on the human factors that underpin how people think and behave so that we can design interactive technologies that are more usable and persuasive at the same time. To put it another way, instead of learning the technical details on how to build wireframes or mockups, you’ll learn what matters in human psychology, so that you can judge what matters in terms of the human factors rather than the technical details. Will this course require technical skills? No, don’t worry. The workshop does not require you to have technical skills, and there’s no need for any coding or programming experience. However, to get the most out of the course, you should be using digital media to some extent, ideally in some communications, marketing, UX, design, CRO, product marketing, social media marketing, or project management capacity. If however, you’re completely unfamiliar with the Internet and have no experience or education in digital marketing, design, or any form of online user engagement or project management, then this course is not for you. I have no experience in web marketing, but I'm wondering if I'll be able to build online products and marketing campaigns after your workshop? My training is best for people who are already practicing digital marketing, UX, graphic design, or any web-related work, starting from a beginner to advanced level. What the workshop does, is show participants how to blend digital psychology and neuroscience into digital strategy and tactics, to improve the quality of their work and their impact. However, the content won’t make sense for people with no experience, because they won’t understand many of the digital media concepts. However, I make an exception to this rule for absolute beginners who have a strong grounding in psychology or a motivation-focused field, and want to learn more about how principles from psychology play-out in digital media. Is your workshop relevant to UX professionals? Yes, the workshops are relevant to UX professionals. In general, UX professionals learn a lot of cognitive psychology, and often receive no training in motivational psychology. Since behavior change depends on simplification as much as motivation, many user experience professionals require supplementary training, to help them better understand the factors that drive user behavior. Additionally, most of the focus on emotional design in the UX industry is focused on positive emotions, or building products that users love. However, in practice, emotional design requires a deeper understanding of different emotions, along with a good understanding of how to manage negative emotions, how to manage user stress, and to better understand core concepts such as cognitive load, which are best understood by looking at the psychology and neuroscience that drive user experiences. Another thing that UX professionals love, is learning how to build wireframes based on psychology and neuroscience inspired strategies, rather than copying conventional building blocks. I’m a usability expert, so what can your workshop offer? We’ll open you up to the behavioral science of interactive design. We start off talking about two key factors in persuasive design: The first is usability, where you can boost influence by making things simple– and UI/UX/graphic designers are usually very strong in this. The second factor is motivation—and that’s where UI/UX/graphic designers tend to be extremely weak, and where behavioral science has a lot to offer. Is the course relevant to my work in digital marketing? Yes, the course is certainly relevant to digital marketing. We found participants want to ‘see and touch’ the principles, so we stress more concrete examples that have obvious expressions, which means focusing more on page design, ad copy, and other tangible examples. Nonetheless, we do address broader marketing strategy throughout, and provide guidance to help persons working at a strategic level to better communicate these principles with colleagues working in a technical or creative capacity. I’m a design researcher looking to evaluate the impact of evidence-based websites. What will I get out of this workshop? 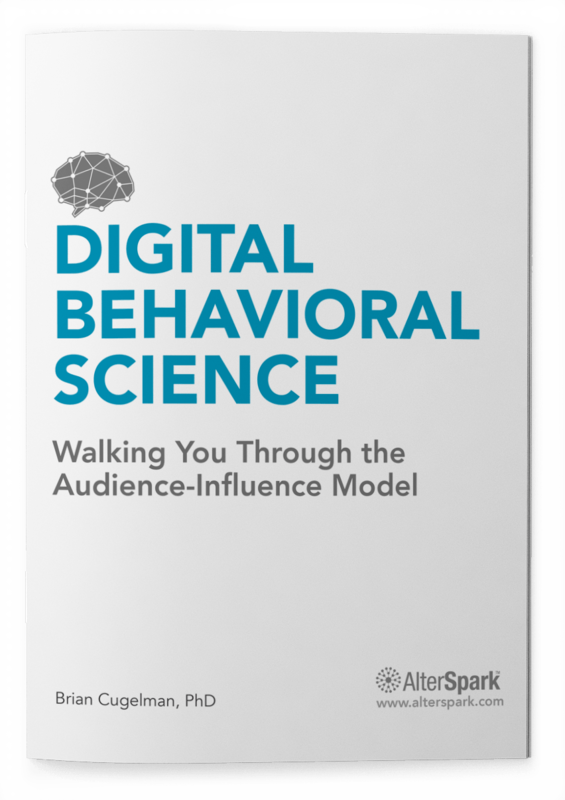 You’ll get Brian’s taxonomy of 50+ evidence-based behavior change and persuasive design principles, and learn how you can apply these to interactive technology. The course features a brief visual content analysis as a learning tool, which helps reinforce participants’ understanding of the principles. For most participants, this is a fun exercise that helps them learn. However, for someone with a research background, this will be an introduction to the research tools that Brian has developed. How will this course help me with conversion optimization? Considerably, we’d say. We’ve had a number of conversion specialists attend courses, and they were all energized and happy with the content. Many participants said they’d run out of ideas and found the course gave them a larger arsenal of persuasive principles they didn’t know about, and also that the course helped them to think about persuasive design in a new way. I’m a one-person web design studio. I’ve found that a lot of these workshops are geared towards larger organizations. Will this workshop benefit someone running a small company? Yes, we’re sure it will benefit you, as a one-person show, small team, or even someone who manages other digital media pros. Really, the size of your organization isn’t an issue. The course presents several psychological principles that will help you make better strategic design decisions—whether you’re implementing on your own or with others. A key take-away element is how you can embed psychology into your digital media. You’ll be equipped with strategies and rules of thumb that you can use to make science-informed strategic and creative decisions, whether you’re on your own or collaborating with a team. I’m a psychologist, looking to better promote my practice online. Will your workshop help me? It depends on your focus. If you’d like to develop digital therapy services, or health behavior change interventions, you’ll learn a lot. Much of our content is derived from health behavior change science, and the professionals who’ve attended from the health/therapy field have expressed quite a lot of appreciation. However, if you’re starting out and are more interested in promoting your practice online, then we recommend that you start with the basics, and find another school that offers standard training for online marketing of small businesses. However, after you’ve gained some experience, at that point, our workshop can help you go to the next level. Why are academics not listed in your section on who this course is for? We don’t list academics as a target group because the focus of this workshop is more on knowledge translation from science to practice. Because of this, statistics, research methodology discussions, lit. review references, and other academic sources have been cut out, and the content has been boiled down to what works. It’s all science based, but presented in an extremely comprehensive and simple format so non-academics will grasp the information and take away solid, practical suggestions, and methodologies. Despite the fact what have simplified the content’s academic roots, we are proud to have had quite a lot of success teaching academics who appreciate the comprehensiveness of our literature review, the simplification of the technical jargon, and applications of behavioral science to interactive media. We’ve trained the team of academics behind Intervention Mapping at the University of Texas and Health Promotion Experts at the University of Alberta. We’ve also received major endorsements from the Editor of the world’s top scientific e-Health Journal, the Journal of Medical Internet Research. Moreover, we’ve trained leading authors and academics who specialize in the application of science, and we have received invitations to speak at York University, University of Toronto, Johns Hopkins University, and MIT. Is the course relevant to corporate banking? Yes. We’ve had a number of people from major financial institutions, including banks, credit unions, and other financial services on our courses. A few topics that might be relevant to corporate banking include understanding motivational coaching psychology (which is what Mint.com is based on), a solid grounding in how people form trust and make web credibility judgments, why people fall for online scams, as well as a long list of principles, each of which will help you make faster decisions on the best course of action. After you complete the registration process, you’ll find the exact location printed on your ticket, with the street address and room number. The address listed on our website is just the general location. After completing your ticket purchase, we’ll send you a workshop itinerary sheet with important details and the exact venue location. Should I bring my laptop, tablet, or anything? We’ll provide all the training materials, which most people markup for their notes, so you’ll only need to bring a pen, some paper and a laptop if you want to take electronic notes, but also if you’d like to participate in our live polling, bring a smart phone or tablet. We’ll provide the wi-fi. We don’t provide lunch, no. We’d rather let you choose your own options. We normally run our workshops in lively locations, with many places to eat. Also, we find that it's more helpful for everyone to walk about, rather than sit in the same room all day long.